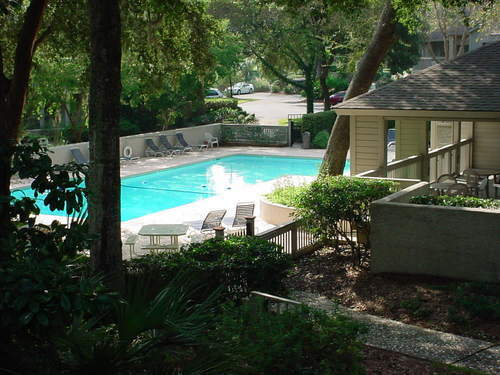 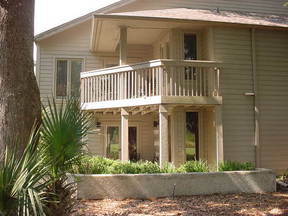 VILLA IN PALMETTO DUNES ON HILTON HEAD ISLAND WITH PANORAMIC GOLF/LAGOON VIEW! 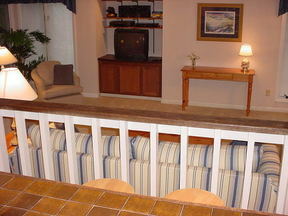 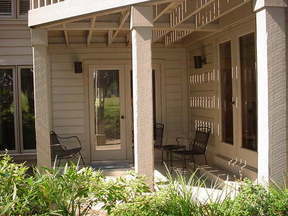 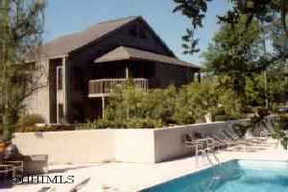 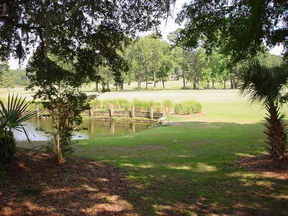 THIS VILLA HAS A GREAT GOLF & LAGOON VIEW, A WONDERFUL SOUTHEAST EXPOSURE, AND IS JUST STEPS FROM THE ST. ANDREWS POOL. 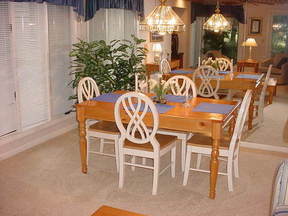 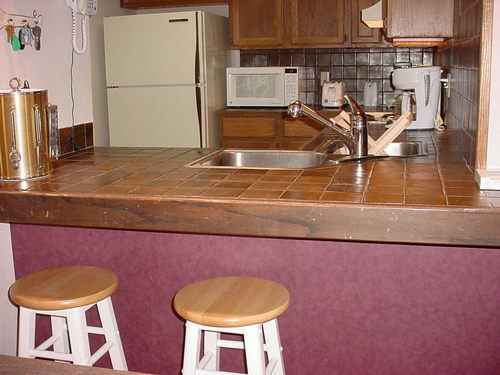 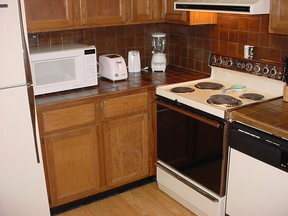 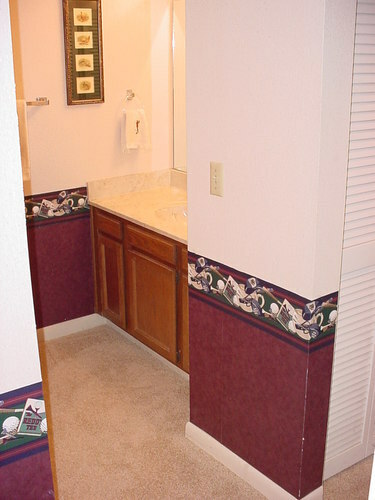 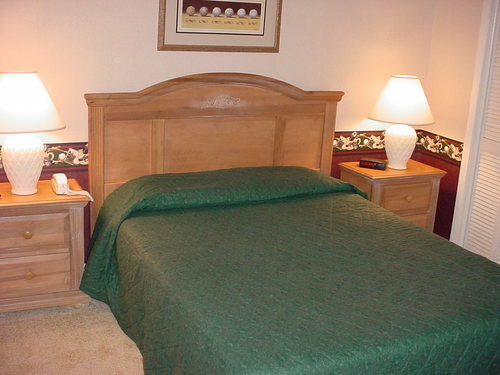 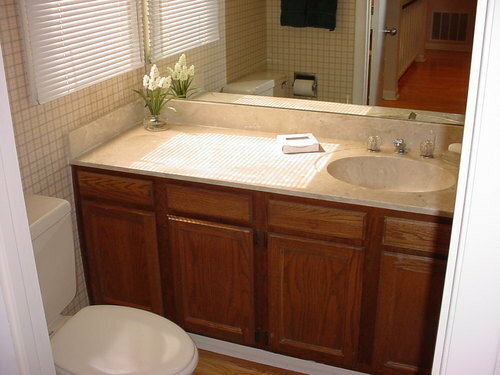 THE INTERIOR IS ATTRACTIVELY FURNISHED AND IN EXCELLENT CONDITION. 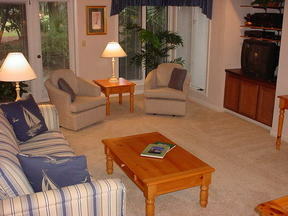 Attractive all on one level, first floor villa with scenic golf and lagoon views. 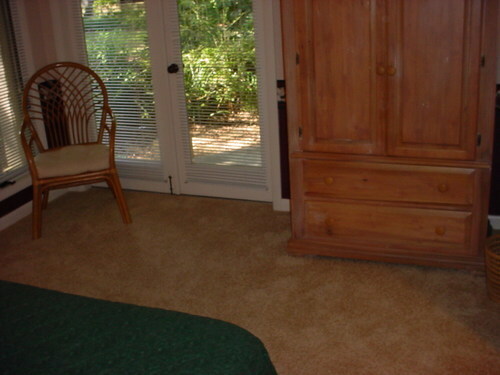 The interior is fully furnished (right down to the "teacups"), in immaculate condition and new neutral carpet was installed throughout the villa in 2007. 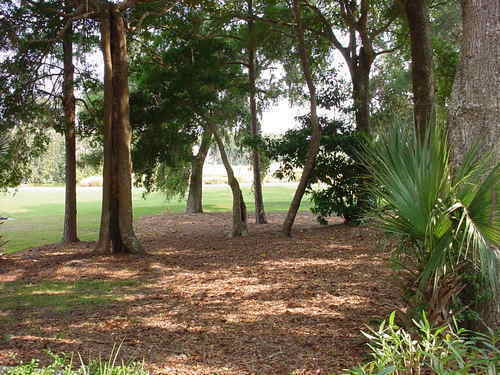 This is the only property with a view like this currently available at this price in all of Palmetto Dunes. The convenient location is very near the beach, 3 championship golf courses, tennis center, restaurants, shopping, Shelter Cove Harbour/Marina and all the other amenities of the world class Palmetto Dunes Resort, with free shuttle service available from March through October. 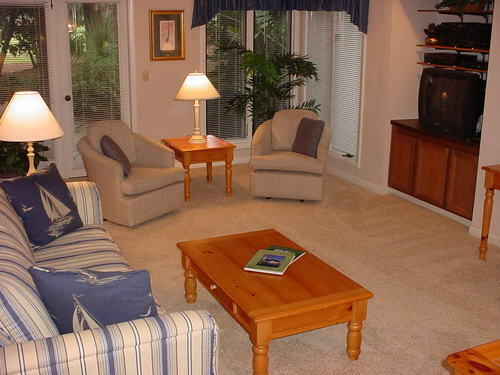 This property is now priced to sell by a very motivated owner and is an excellent second home or vacation rental villa opportunity! 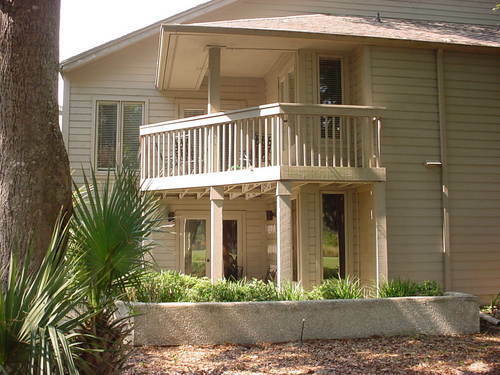 As of May 2008, this property is the lowest priced villa in all of Palmetto Dunes, so don't miss this great chance to get in on the ground floor!